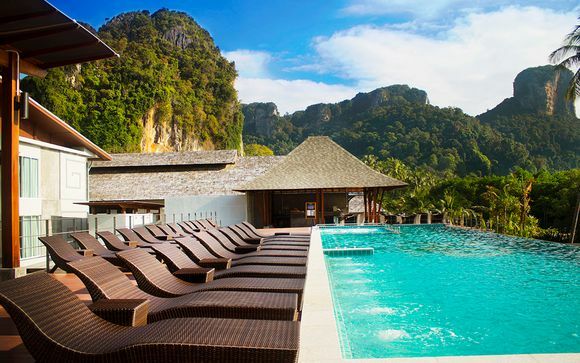 Holidays to Krabi up to -70% off To take advantage of these offers, join now for free! 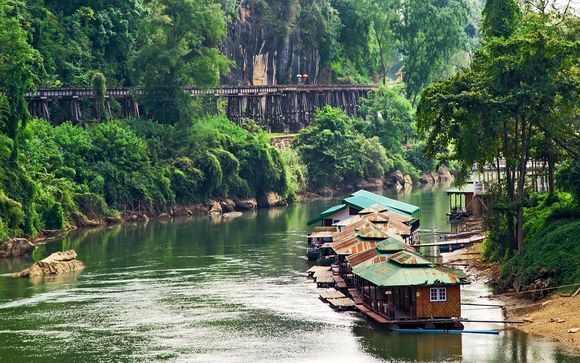 Krabi is the beautiful capital of southern Thailand's Krabi Province. 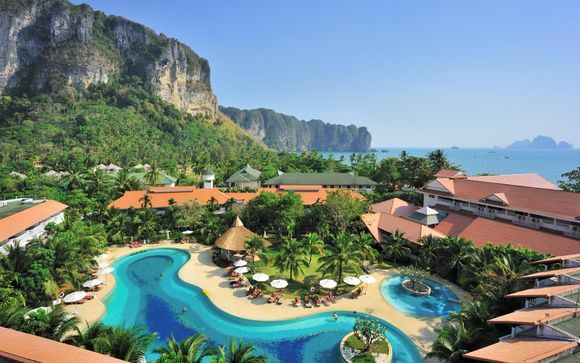 A Krabi holiday is like no other, a place where the sunrise bursts with colours and the distinctive limestone cliffs line the 150km coastline, revealing the perfect destination to soak in the sun against the backdrop of the Andaman Sea. With an array of beaches, you are spoilt for choice; Railway Beach, Ao Nang Beach and Phi Phi Island offer never ending stretches of sand and crystal clear waters in which to take a refreshing dip. If you want to explore further, you can take a boat ride to one of the 200 islands' worth of coves and bays. Claim one as your own! Krabi holidays offer diversity and the ability to explore. There is an array of stunning islands off the coast of Krabi and island hopping is the best way to explore all that you can. From Koh Poda, Hong Island to Bamboo Island, you can hop on a long-tail boat and explore the stunning surroundings, soak up the sun or maybe try your hand at scuba diving in the crystal clear waters. 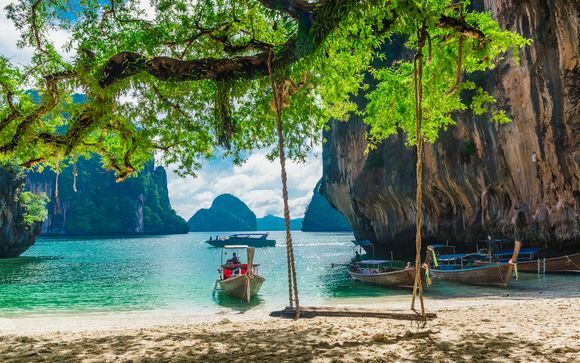 These islands are perfect for days trips from Krabi. Return home to one of our luxury hotels at exclusive prices, sun-kissed and ready to relax! Who does Thai food better than the people of Thailand themselves? With hundreds of restaurants and food stalls, you can indulge in a sit-down meal, or chill on the beach with some beach food! One of the great things about Thai food is their night markets - packed with delicious food you will never go hungry, so swing by the night market on Maharat Soi 10 to try the authentic Thai dry fry curry. After an evening of sampling the local cuisine, return to your handpicked hotel and relax, knowing you are staying in luxury. If you want to experience white, sandy beaches, stunning rock formations and an array of islands and activities in one of the world's most stunning locations, then there is no better place to start your Krabi holiday than with us. 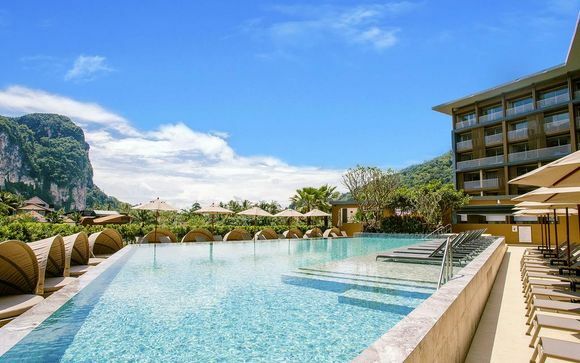 We select each and every one of our luxury sun and beach holidays with you in mind, in order to ensure that they offer the very best value for our exclusive members. Sign up now for our exclusive prices or to create an alert to be notified of the best deal for your holiday.